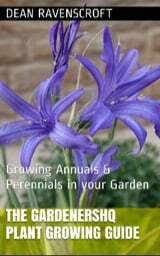 The Lathyrus genus contains both annuals and perennials. This section of GardenersHQ is dedicated to the annual varieties of Lathyrus. These climbing plants can reach from 60 cm to 3 m in height, and carry fragrant butterfly like flowers in many shades. 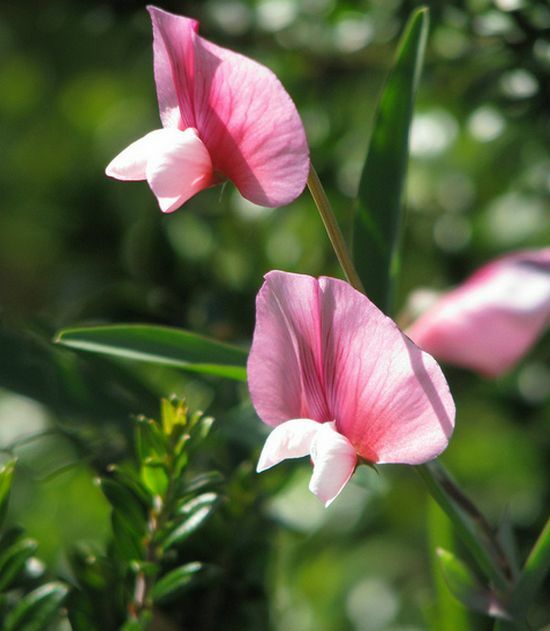 The flowering time of Annual Lathyrus is species dependent, and it can be from spring to autumn. Some of the latin names include Lathyrus tingitanus, Lathyrus latifolius, Lathyrus sativus, Lathyrus odoratus, Lathyrus nervosus, and Lathyrus linifolius. Annual Lathyrus can be grown on a trellis or fence at the back of a garden border, or allowed to grow along the ground. Lathyrus tingitanus pink by peganum. The seeds of Annual Lathyrus should be sown outdoors at a depth of 12 mm in early spring. They like to grow in a sunny part of the garden that has a deeply composted (40 cm) soil; the soil should also have bone meal added to it. If starting off indoors, then the process should start about 2 months before the last frost of spring is expected. First chip the seeds then imbibe them in warm water for a day. They will require to be inoculated with nitrogen fixing bacteria (available from a garden centre). The seeds should then take two or three weeks to germinate at 12 to 18 degrees centigrade. Once growing, the annual Lathyrus plants should be transplanted outdoors following the last frost of spring. Annual Lathyrus vines should be spaced at about 15 cm apart, and bush's spaced about 30 cm apart. Annual Lathyrus require a trellis or fence to grow upon, or alternatively allowed to trail on the ground. Either way, they should be mulched and watered in the summer (and during other prolonged dry periods). Removing dead flowers will result in prolonged blooming. Unfortunately Annual Lathyrus is susceptible to disease, so it is necessary to change the location of where you plant Annual Lathyrus each year.